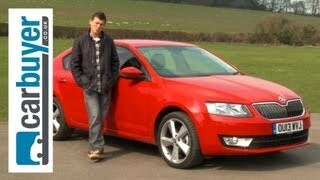 The 2013 Skoda Octavia sets standards in the compact segment. The Octavia’s third generation more than ever confirms the car’s unique position in its vehicle segment, impressing with an unrivalled space offering, new design, high functionality, innovative safety and comfort systems, low fuel consumption, wide range of simply clever solutions and a ŠKODA-typical price-value ratio. 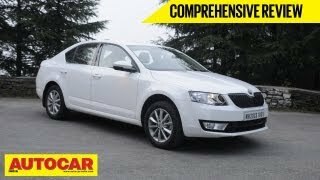 The new Skoda Octavia offers new design, high functionality, innovative safety and comfort systems, low fuel consumption, wide range of ‚Simply Clever‘ solutions and a ŠKODA-typical price-value ratio. The GreenLine version of the new Skoda Octavia (1.6 TDI/81 kW) achieves CO2 emissions of only 89 g/km and consumes a mere 3.4 litres of diesel per 100 km. In all, four petrol engines, all with cutting-edge TSI technology, and four modern TDI common-rail diesel engines are available, with a natural-gas version planned for later. Except for the relevant entry-level petrol and diesel option, all engines now are available in a Green tec version with a start-stop system and recuperation.